This fireworks display is held on the first day of the Ichinoseki Festival in Ichinoseki City, Iwate Prefecture. 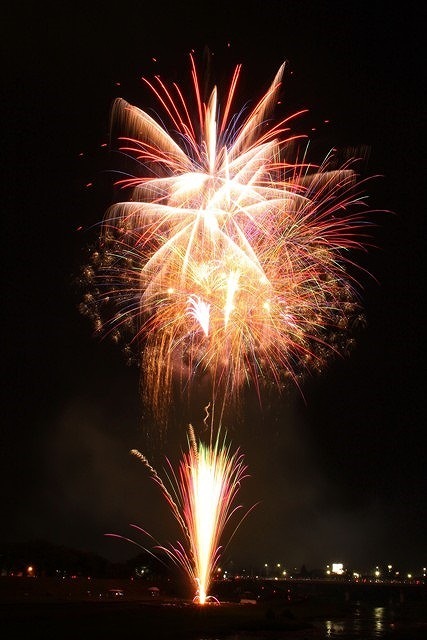 A variety of fireworks, with many starmines, is launched and color the night sky with impressively large flowers. 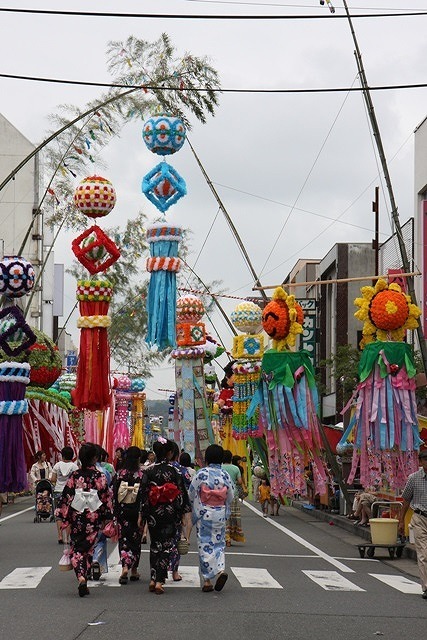 Several events, including the massive parade dance of the Kurukuru Odori where citizens participate and the Ichinoseki Mikoshi (portable shrine) Festival, are held at the festival over three days, and bamboo poles for Tanabata and windsocks decorate the shopping streets.